10. 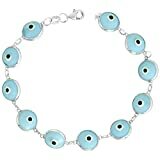 Evil Eye Bracelet "Turquoise"
4. 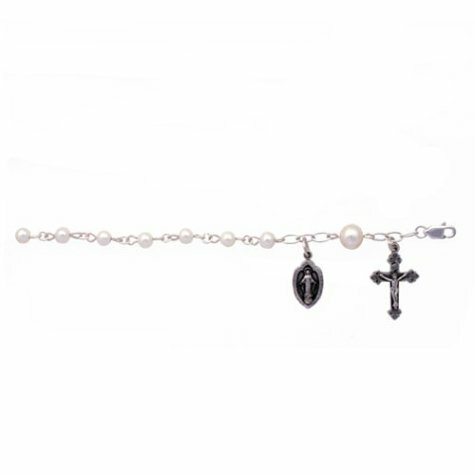 Sterling Silver and Pearl Rosary Bracelet w/ Medal & Cross, 7"
Add a note of grace to any ensemble with this fashionably demure bracelet mixing pearls and sterling silver medallion and cross. This 7-inch bracelet features 11 virtually weightless pearls connected by silver chain links. The highly detailed crucifix that hangs at the end of the bracelet features a flourishing Florentine-style cross. It also includes a Miraculous medal, featuring an etching of Mary. Both medal and crucifix are made from sterling silver (which appears almost pewter-like) and measure approximately 0.5 inches in height. 5. 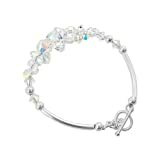 14k Yellow and White Gold Diamond Accent Angel Charm Bracelet, 7"
6. Sterling Silver Chain Link Bracelet w/ Sterling Silver Lock and 14k Yellow Gold Key, 7.5"
7. 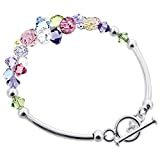 Sterling Silver Charm Bracelet w/ Sterling Silver Round Disc, 7"
8. 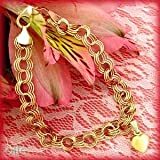 14k Yellow Gold 4mm Charm Bracelet, 7"
This delicate chain bracelet can be the beginning of a rich tradition of collecting charms and amulets as keepsakes. 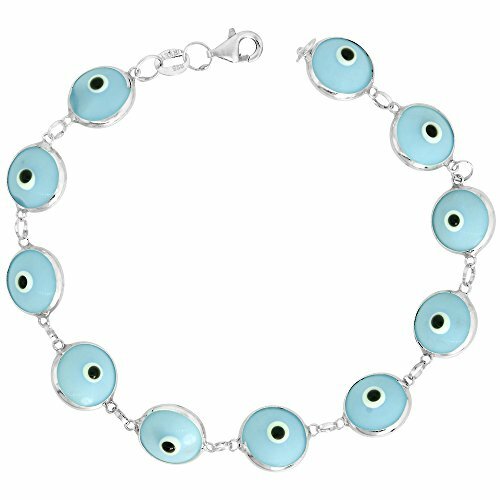 The double-links on this charm bracelet are round, with cuts that add texture to the otherwise liquid-light surface. The 14k gold bracelet is 4mm thick, 7 inches long, and fastens with a box lock clasp. 17. 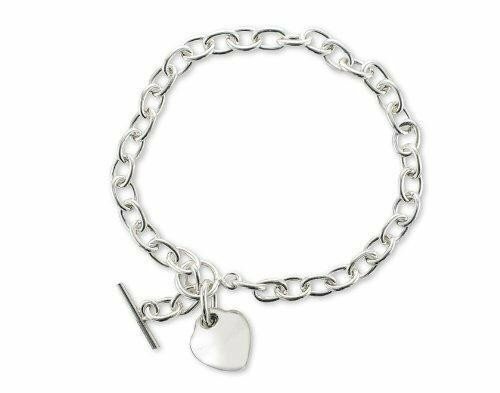 Sterling Silver Toggle Bracelet w/ 14k Yellow Gold Puffed Heart, 7.5"